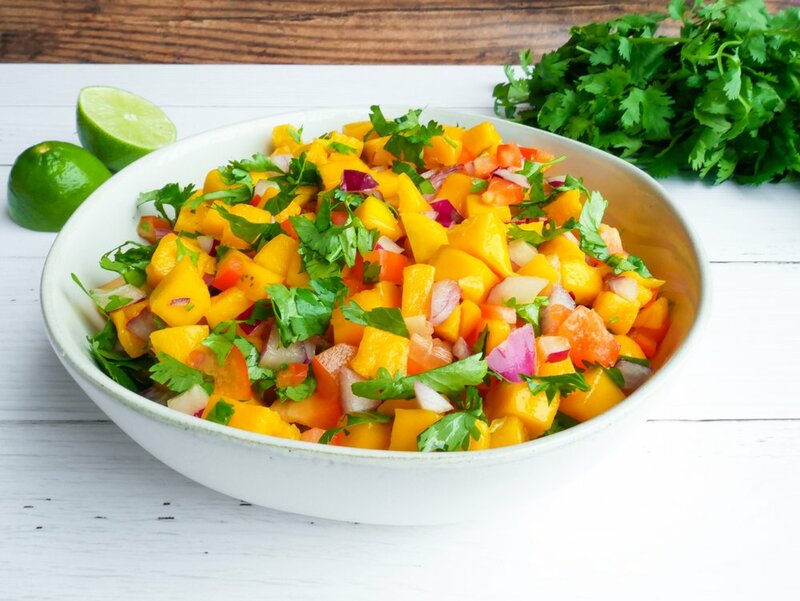 This Mango & Coriander Salad is fresh, zesty, tangy and full of flavor. Packed with fresh herbs, sweet mango, spicy chili and and zingy lime. It also doubles as a salsa! If you’re looking for a quick, super flavorful side dish or appetiser to jazz up your any-occasion dinner, this salad is exactly what you’re looking for. It’s also a great addition to barbecues and picnics, and it even makes a great, light lunch. Serve alongside a fish or chicken dish, corn chips or crackers, tacos or a burger. Mango is rich in Vitamin C, fibre and antioxidants. Add to salads, cakes and baked dishes, mix in with yoghurt or top your morning oats with it. 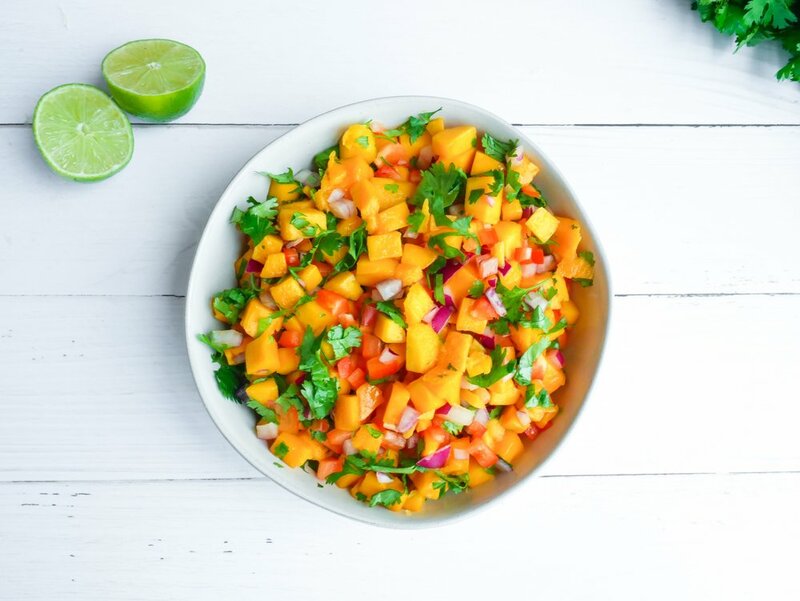 Make a passionfruit salsa with mango, and a tropical ice cream with mango. Thanks to 5+ A Day for the recipes! 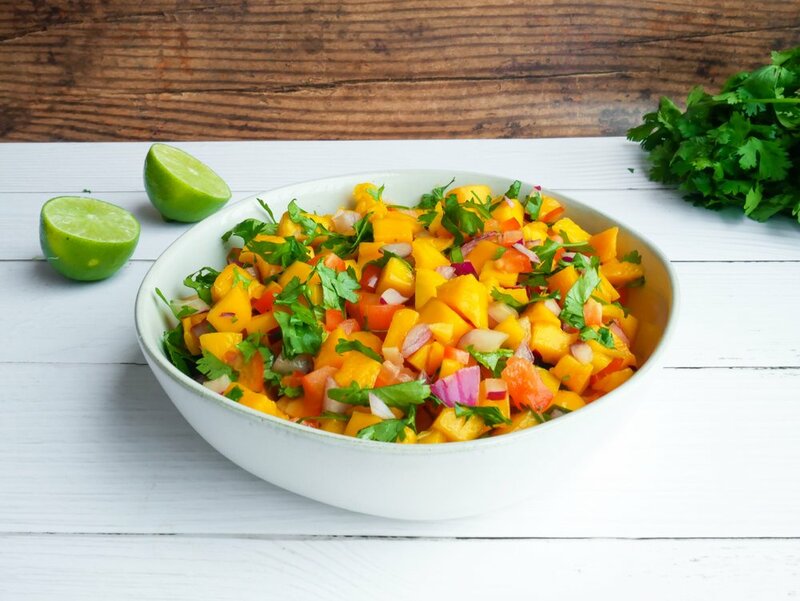 In a serving bowl, combine the mango, coriander, red onion, capsicum and chili. Drizzle with lime juice and season with salt. Enjoy.